Welcome to a brand new adventure! I begin to wander places I have always walked by and explore what they are all about. I hope you might find them fascinating as well! 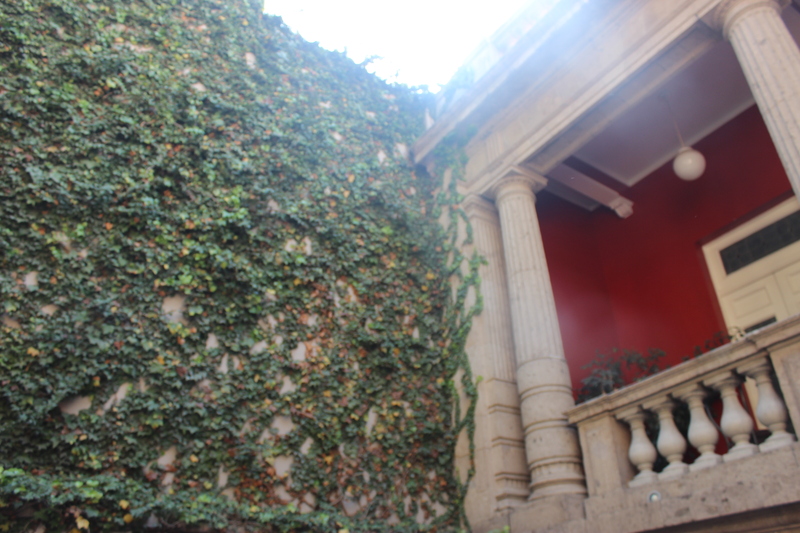 the welcome of the ivy, the construction of the building , as well as the overall access to La Canasta is well worth it. 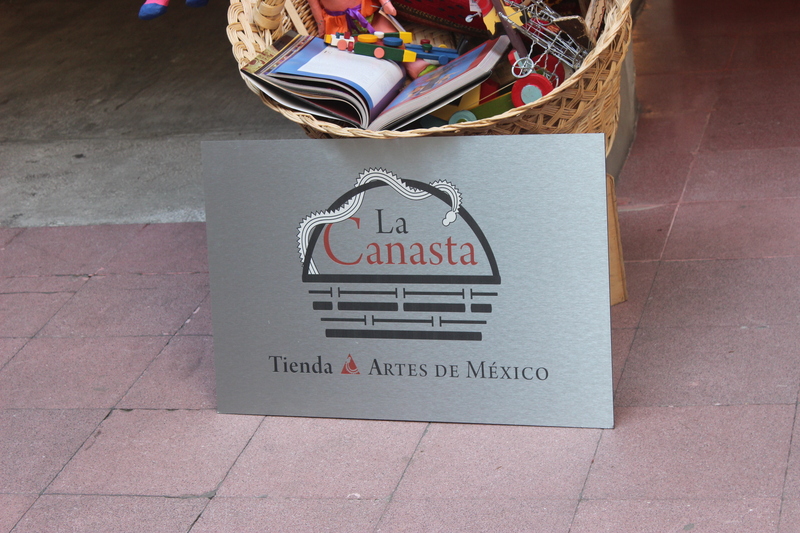 La Canasta, meaning Basket, this is a basket of goods that represent youth as well as adults when it comes to art. 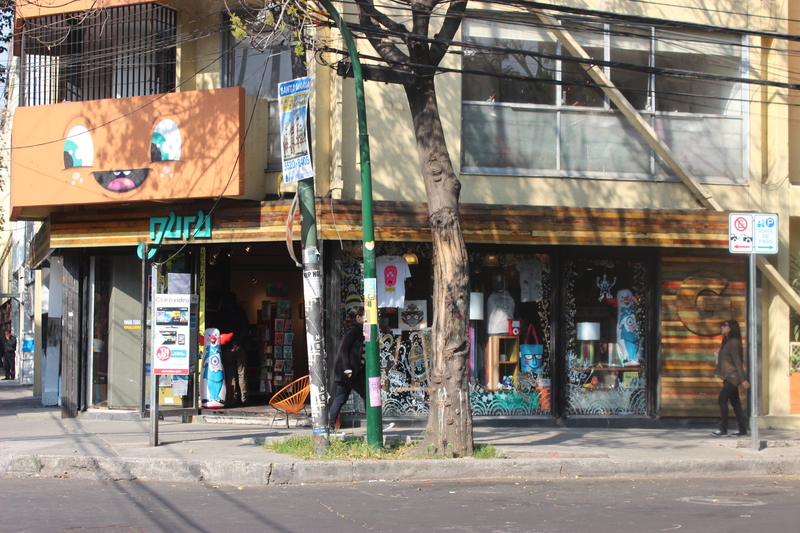 Turn the corner from Cordoba and you will see Guru , and I have to tell you, this one is hard to explain. Imagine a Spencer’s store in the United States, only less perverted, and more artsy, and you maybe have the slight idea. I like the fact that there is a gallery in the back of this store, and well, that it has an inflatable punching bag like I remember whenI was little. 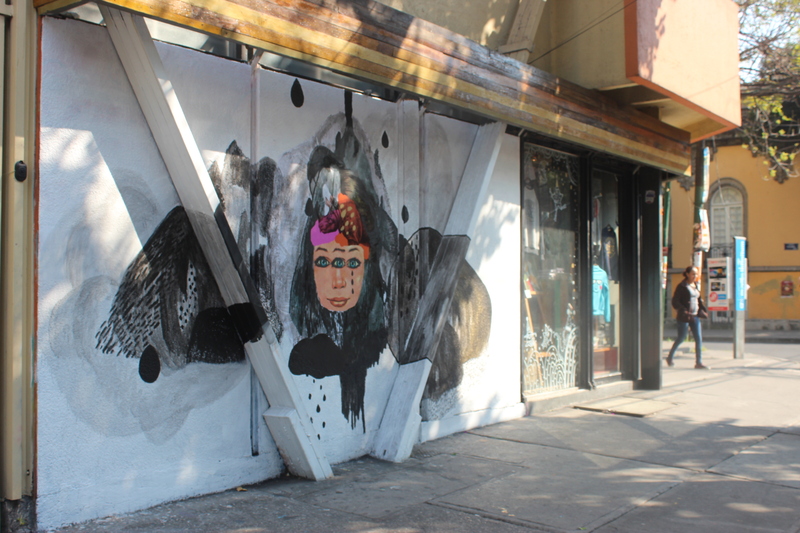 Add to that the cool aspect that when you tun the corner of this tienda, every month there is a new painting added to the side of the tienda, sometimes with explanation, sometimes without. 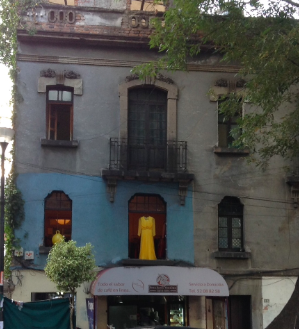 Either way, an interesting find in Roma Norte and something you will not find everywhere! An amazing house studio full of other studios – this is beautiful and amazing inside, and you will NOT, NOT want to pass this amazing studio, themed around hummingbirds, that has something for everyone, and is breathtaking and STUNNING! I am deviating for once away from sticking to only cool corners of Mexico mainly because this was an exception, and a HUGE ONE. 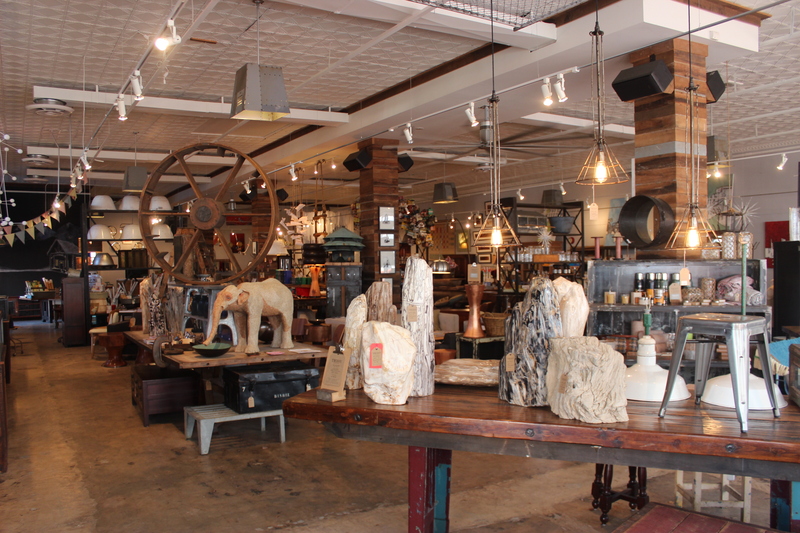 As soon as I walk into this business, I knew this was something MUCH different than for average home decor and this had more personality than most establishments I have EVER seen. Take a mix of nostalgic typewriters, amazing collections of all sort of items from pieces of granite, and hundreds of more items that make you feel at home, all with ties to very local and artistic-related individuals. Yes this might be opening the cool corners to establishments all over the world, but I can’t think of any business worth more worth having starting this trend. 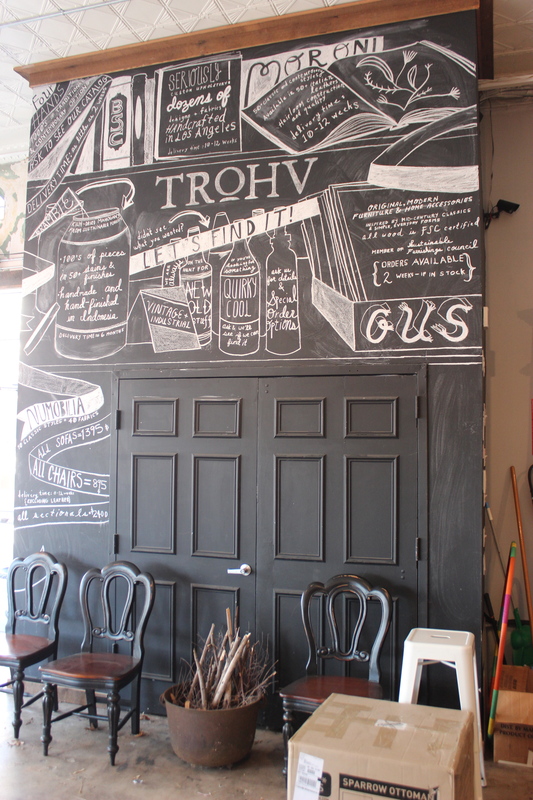 If you wanted to find a more inviting, more welcoming business, it will be a hard find to find one more inviting and warming than TRoHV Home & Gift. As I walked in and was introduced to Angus & Julia Stone’s “Santa Monica Dream,” I realized, if I had a place I would want to frequent, it would be herewith this song, and this place.It just all fit together perfectly. Reading the lyrics help me remember my first step into this establishment and if you’re lucky enough, you will be able to grasp something memorable about you, and your home, when you visit this very special place. definitely an amazing service. One thing I have found on Takoma, there are many hand in hand companies that support each other, that seem to bring the sense of a community close to what it was meant to be. I sense that in the lyrics of the song below I heard as I walked in, that is the kind of place I’d like to be found shopping at. But do I really want to know? Being an eco-friendly business, I have been into this company severe times, and realized that there are so many variations of trays, snacks, and foods for dogs and cats here, it is AMAZING. I picked up a brush that was alot more than I would normally spend, but was told it will benefit the undercoat of the dogs, so I am hopeful. I understand there are lessons being given as well, but the staff was amazingly warm and welcome as always. 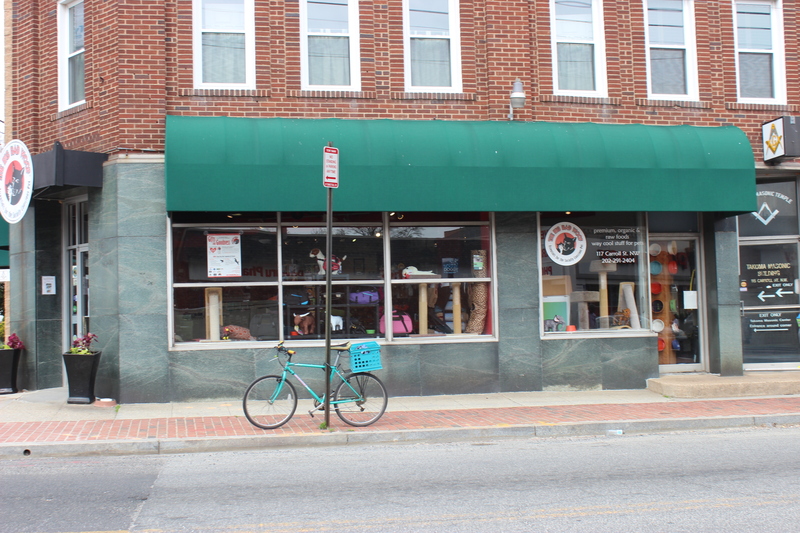 I love the fact that this is also on a corner in Takoma, and the ample eco-friendly supplies here for pets is one of the draws, aside from the hospitality and the service the com pay is able to provide. Check them out on Facebook as well here. 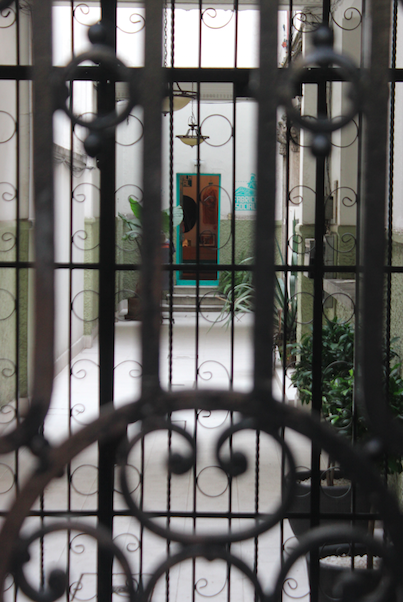 Right on the corner of Tabasco and Jalapa, this is always a center of relaxation, classes in Yoga, and many other courses. 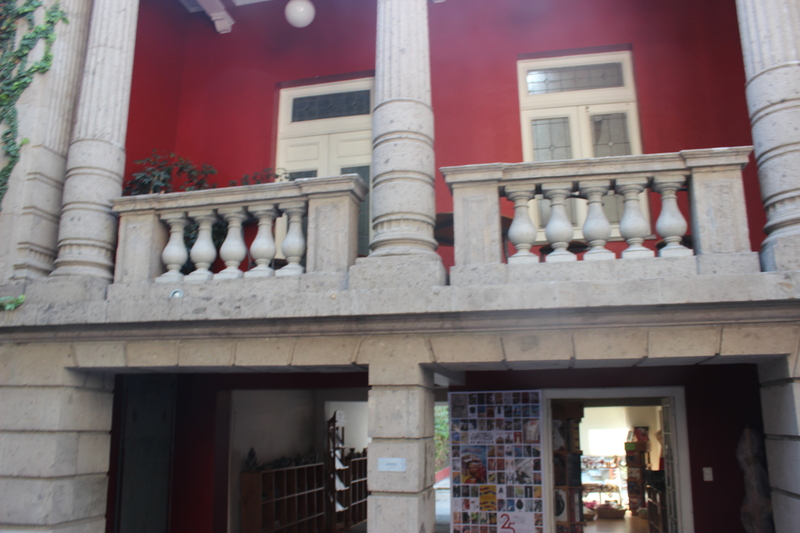 The building is amazing, and is the corner that is the most pleasant as I return home to Roma Norte. While this location and URL is in the middle of construction, this is a GREAT find. If you go here right after Christmas, there is a huge wall that is 50% off for cats and dogs. However, even in the winter, when I looked throughout the mass amounts of items marked down from Christmas, you can’t but help feel you are near the beach without being there. From the countless items that just say BEACH when you walk in, to the amazing taking birds you will see inside, to just the variety of plants you come across in the summer, this place is ideal for pets! The staff is amazingly friendly, hdd working, and creative, and every single time I have been here in the summer, even just going past, you can’t but turn your head from the variety of all thing pets that they have! 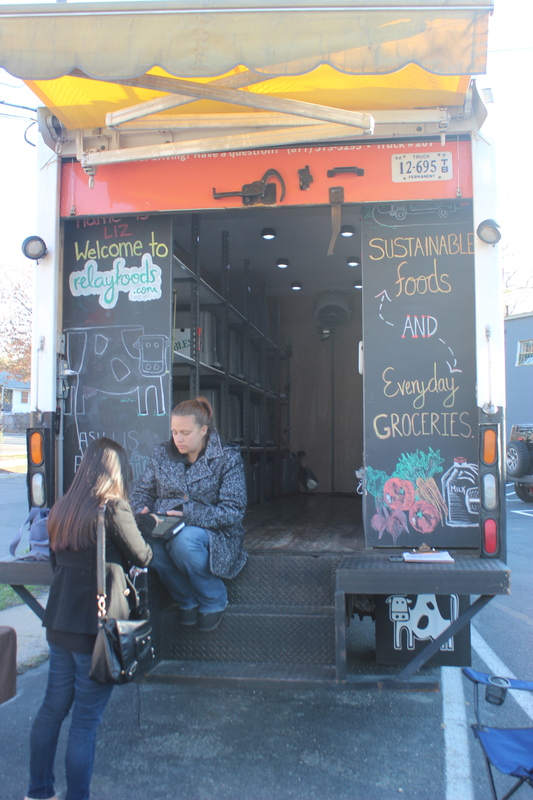 We are a social enterprise made up of an organization and a brand. 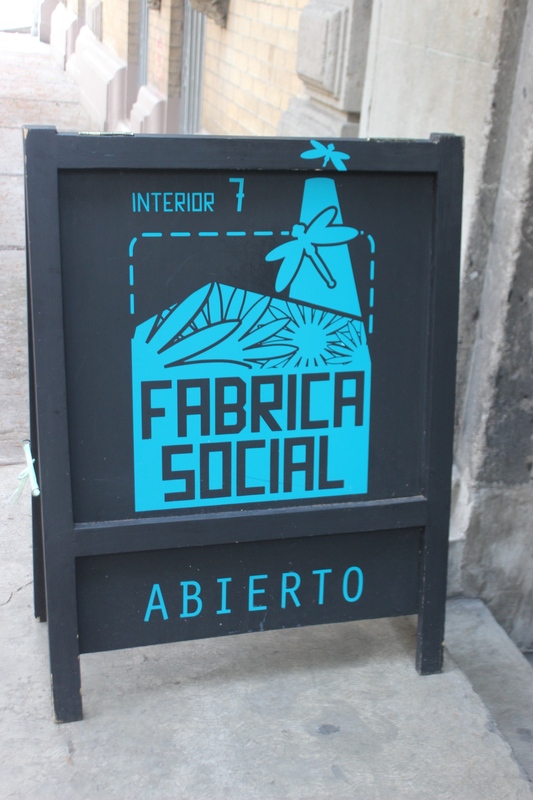 The organization develops the skills of women textile artisans via a mobile workshops about design, organization, administration and Fair Trade (Comercio Justo) for indigenous Mexican Women. The brand guarantees the sale of the products that are developed during the workshops in-line with Fair Trade standards.Our goal is to support sustainable artisan groups while ensuring that traditional textile production is a viable economic alternative in their communities. A great almost secret but personal place for showing exhibits of art – Keep checking for new exhibits! A great place to relax and feel good about getting your total hair needs. The inside looks like an interior decorated set, yet, the staff is great. They do not hesitate to take time to make you feel welcome, more than the inside of this salon itself does, worth the trip absolutely! 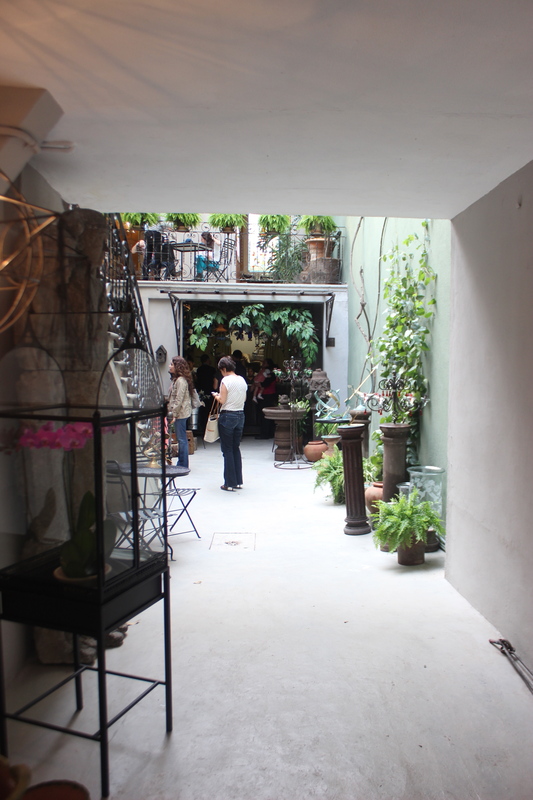 A very artistic tienda that has some of the best tile-imitated holders for plants. I was drawn to how these could enhance a patio or provide places for growth in usually hard to hang places. There is so much on the classy side of creation, you will not want to miss this! 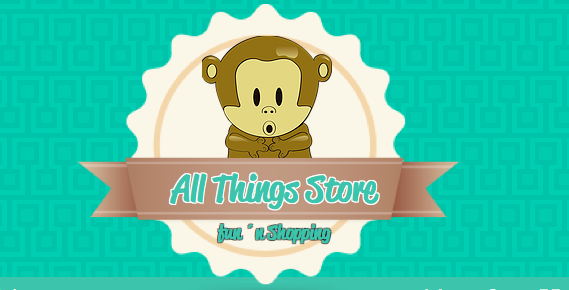 A cool place for all kinds of gadgets – great for gifts – has come to The American School Foundation once or twice for various gift bazaars – worth checking out! GREAT place to see the documentary film festival, as well as many other films and special cultural exhibits. Keep your eye on events occurring here – very great place! 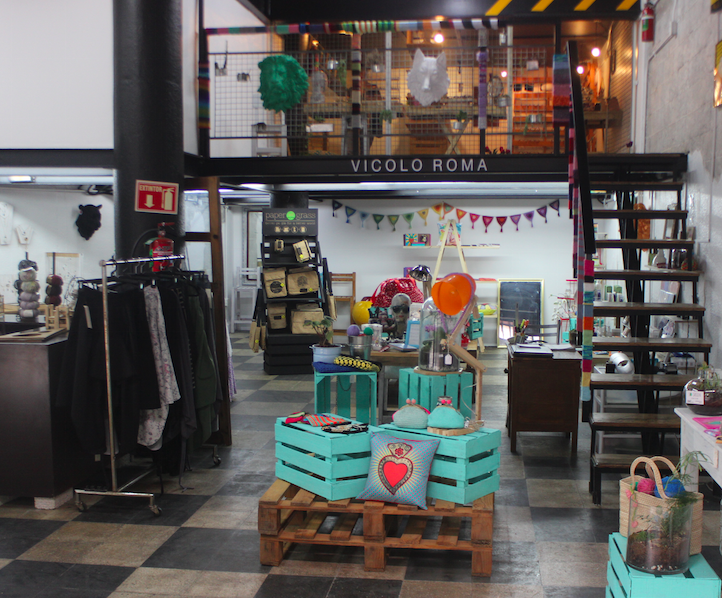 16) Vicola Roma– Cordoba 97 – B Col. Roma Norte Tel: (55) 5208-0125 On Facebook: vicoloroma and their website here! 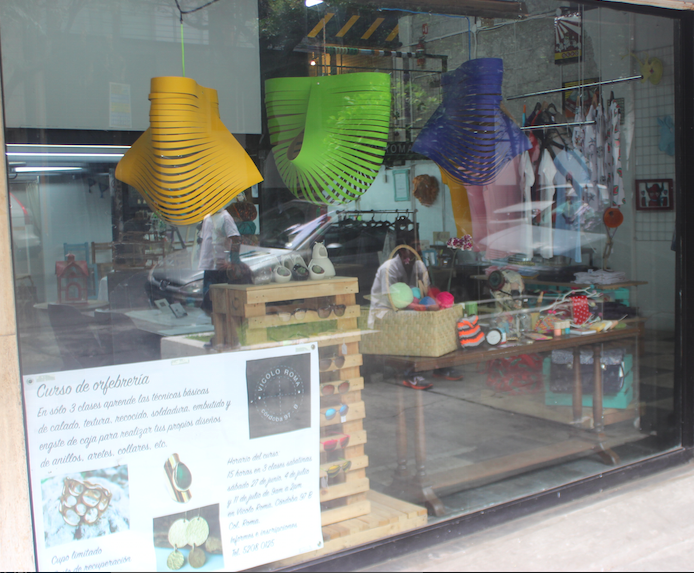 A great new tienda, with a variety of everything Mexico, and tons of artisans represented some artsy, some environmental and plants, pillows, even a night when some people get together and knit – it looks and feels like a SUPER cool place! Add to this classes in jewelry making that is possible where you customize your own piece, and this is quite a versatile experience in the heart of Roma! Talk to the owner Vladi and make a point to stop here – this will be a great experience! This is 100% about catching you unaware. The teaser is the Pan Dulce, which usually. I have is kind of hard, not very but on the harder side, and when I tasted this Pan Dulce, crumbs fell all over, it was that soft. Delicious. So I moved to the Carrot Cake, but no, not any ordinary cake, look at the picture and you will see that. The cranberries, the icing in between, the soft texture of the cake itself, heaven on earth. I haven’t dipped into the Passion Fruit cheesecake YET, but I am dying thinking about it right now. Then there is the FIVE texture chocolate cake, the peanut butter cheesecake, the Mocha cheesecake, lime cheesecake and yes, there is MORE. This is the perfect corner, it is quaint, quiet, and so far the most delicious and best kept secret. I pretty much thought nothing comes close to the Swiss Bakery, no. This does, and I am as surprised to say that as many will be to hear that, but try it, you will see. it will have you dreaming for more, easily. Jorge Gil will tap every single sweet tooth you have and more if you give him a chance, and this is as good as it gets. Perfect experience. Ever notice some of the best places are those that you just, stumble in ? You look back and wonder, how could that have turned out better? The brand new corner in Roma Norte BEFORE Casa Quimera that just opened is a discreet, cool mercado that has tiendas for BBQ, Ceviche, and here, empanadas and pizza to start. Yet, there is more. Christian and Mariana are Tango, Salsa, and dance instructors, that happen to instruct beside Tonala Cinema. Yes, they are Tango Discovery Mexico, check them out at Facebook. Hi, of course this piece of writing is truly pleasant and I have learned lot of things from it on the topic of blogging. Hello, stumbled upon your blog while researching my grant-grandparents residence in the early 1900s. 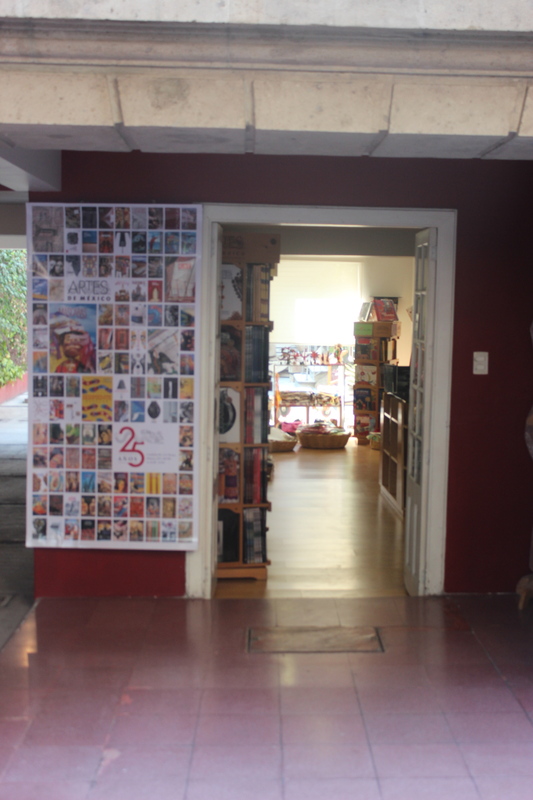 67 Calle Cordoba, Roma Norte. If you have any other photos I would love to see them. Great thing about research, you find gems like this. I look forward to reading. Cheers!